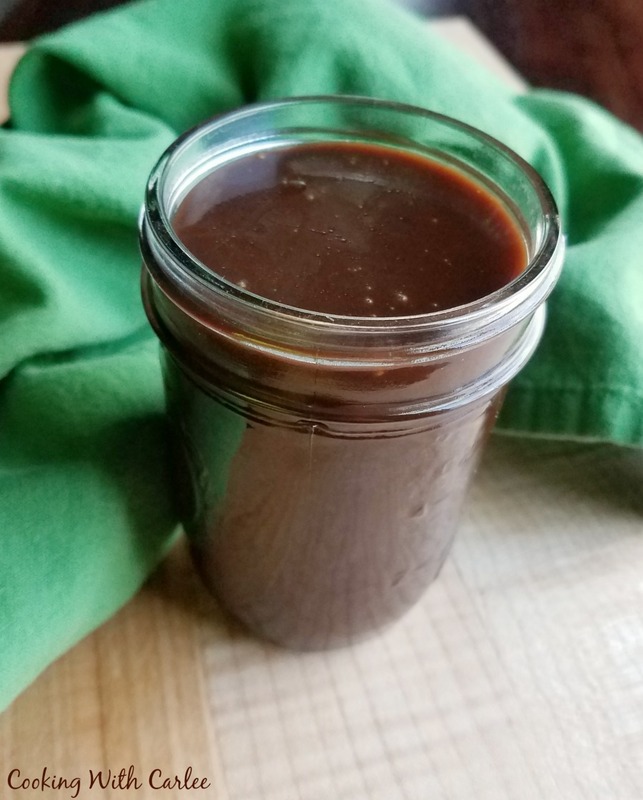 This hot fudge comes together in minutes with pantry staples. 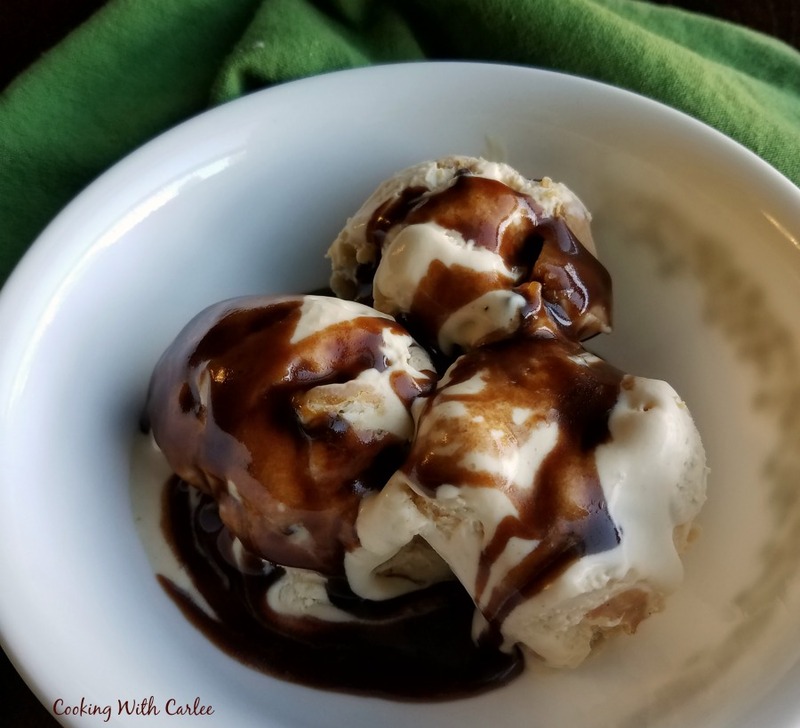 It is the perfect ice cream topping! I have a confession to make. I don't like chocolate syrup. My husband loves the stuff. He puts it in his milk and sometimes in his coffee. He adds it to his smoothies (nothing says health food like simple syrup and chocolate syrup as regular ingredients in your smoothies!) I do, however, LOVE hot fudge. They are not even close to the same thing. One is watery and blah and the other is rich and smooth and luscious and wonderful. Not that I feel strongly about it or anything. I am posting it tonight as a tease for what is to come tomorrow. (I'll give you a hint, it isn't ice cream or bundt cake... or fingers or spoons!) I can't wait to show you what we had this with. Ok, I can wait a little bit longer. Come back tomorrow to find out! This recipe started as a fudge frosting recipe that my aunt Marlene taught me. I made a minor adjustment to make it a little looser. You should check out her fudge frosting when you have a chance. It is perfect for spreading over rice krispie treats or brownies. In a medium sauce pan, whisk together sugar and cocoa to make sure there aren't any lumps. Add milk and butter. Cook over medium-low heat until it comes to a hard boil. Boil for 2-3 minutes, stirring frequently. Remove from heat and allow to cool some before serving. See, easy! It is also forgiving. You should try it! It is the best!! Thanks, Sam! Can I store in the fridge? If so, for how long? Yes you can! 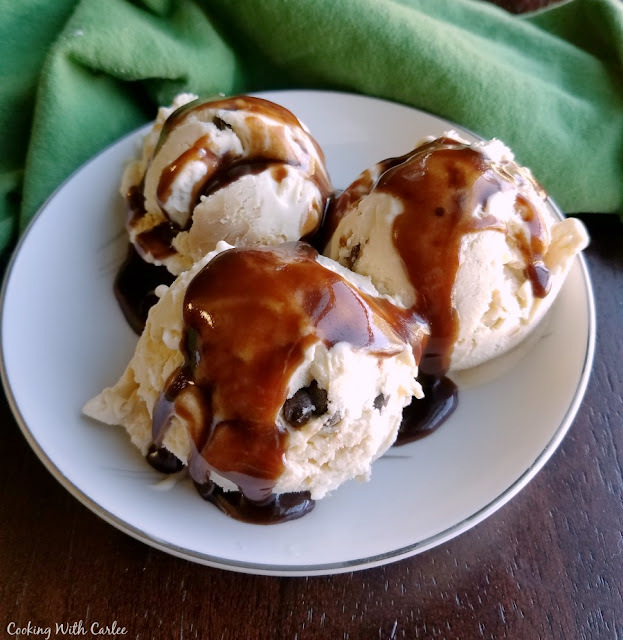 I made another batch last week knowing I wanted to use some on ice cream then and the rest to drizzle on a fun cake this weekend. It kept perfectly. (Usually it doesn't last that long around here!) It will solidify in the cold though, so just heat it up 15-20 seconds at a time in the microwave stirring between until it is smooth and stirrable again. Enjoy! Does this have to be refrigerated? I'm planning on making an ice cream baskets for gifts and won't be refrigerated until unwrapped.